Small business owners can benefit significantly by offering an incentive or bonus plan to their employees. Of course, at first this idea may seem like just an added payroll expense; however, while there is a financial cost associated with it, the benefits listed below should be strongly considered by small business owners who have employees. Of course, as Chartered Accountants, we will focus on the financial benefits first. While it may seem that providing an annual employee bonus or incentive plan is an added payroll expense, it can actually be a way to better manage monthly cash-flows. The idea is that when hiring new employees, as well as retaining existing staff, the focus should be drawn to the total compensation package, and not simply the annual salary. From the employee’s’ perspective, they may be comparing the compensation to other companies or other offers they have on the table. Including a monetary annual bonus sweetens the pot for them, as it obviously increases the total potential annual compensation they might receive from your company. From the perspective of your business, if say 25% of the employee’s compensation is through an annual bonus, that would result in a 25% reduction in your regular recurring payroll costs (bi-weekly, monthly or however your business pays salaries). This provides for 25% more cash to be used as working capital, investing in the business, and so on. 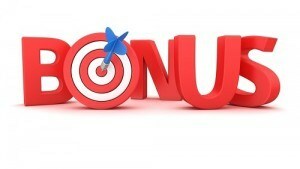 However, as this potential bonus is something that would need to be paid (if key metrics are met, which will be discussed below), it is important to ensure that the funds are available for the bonuses to actually be paid as well. Another added benefit from a financial perspective is that the bonuses are a variable compensation expense. This means that if your business happens to underperform in a given year, the bonuses or annual compensation for your staff would be tied to the performance, thus decreasing the financial burden, at least somewhat, from payroll expenses. If the same amount of total compensation was paid through salary only, rather than having a variable bonus component, this would not be possible. One of the most vital aspects to having a successful business is ensuring that everyone is working towards the same goals. In other words, the goals for each employee must closely align with the overall goals of the business. Having the above noted three components as a part of the bonus payout measurements will ensure that staff have a vested interest in how well they perform in their own role, how well their team does, and of course how well the company does. It is obvious that this method will help to align each employee’s goals with those of the overall organization. It is important to note that the goals and objectives need to be made clear, ahead of time, for each category above. This ensure that all employees know what they are working towards, i.e. for the company performance measure, metrics need to be set and measured against, such as revenue growth, customer growth, or other key performance indicators that are relevant to each company’s specific scenario. These measures need to be tracked and employees need to be informed as to how they are doing at every level on a regular basis. One useful method is to ensure that goals are specific, measurable, attainable, realistic and timely (S.M.A.R.T.). Hiring and training talent is expensive. That is a well known fact across all industries. At times, voluntary employee turnover is obviously unavoidable, and perhaps even desired by the employer (rather than having to make cuts, pay severance, etc., depending on the scenario). However, in most scenarios, employee retention and satisfaction is an important goal. Paying an annual bonus at a specific time every year provides several benefits to the employer. Firstly, it would typically prevent employees from leaving the company before the bonus is paid out for that year. This means that the bonus should be timed after a busy (or the busiest) period, depending on industry, company, etc. This tactic can be very useful for industries or companies that have a peak season and resourcing is vital to getting the work done. The last thing a small business owner would want to do is lose key staff during the busiest period. Secondly, having an annual bonus adds a level of predictability to employee turnover. While, as noted above, turnover is generally not the desired outcome; the more easily the business owner or manager can predict employee behaviour, the easier it will be to plan ahead. Of course, as mentioned above most employees would wait for the bonus to be paid before they exit. In summary, having a bonus or incentive plan for your employees can be a very useful and effective tool to improve or manage cash flow, align employee behaviour with your company goals and improve employee retention (or predictability thereof).